Amid a global recall of its Galaxy Note 7 smartphones which have been identified as a potential fire hazard, Samsung has taken the unusual step of directly addressing customers in a video message posted on its website. 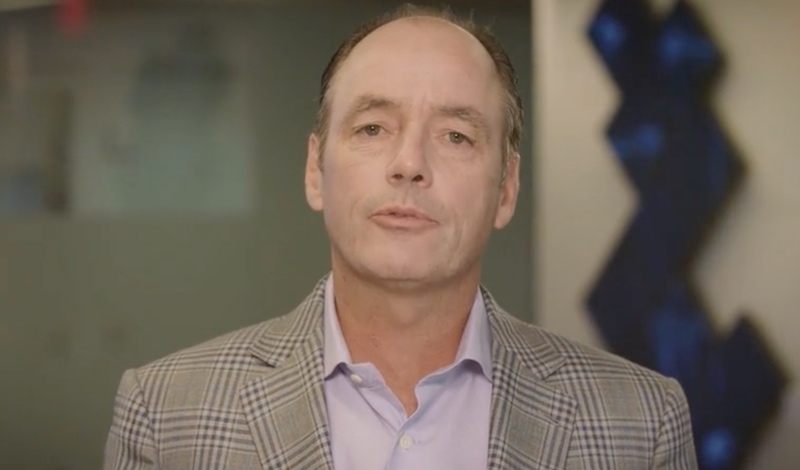 In the video, Samsung America president and COO Tim Baxter admits that "we did not meet the standard of excellence that you expect and deserve". Samsung America president and COO Tim Baxter addresses customers. For that, we apologise, especially to those of you who were personally affected by this. To those of you who love the Note, the most loyal customers in our Samsung family, we appreciate your passion and your patience. We take seriously our responsibility to address your concerns about safety. And we work every day to earn back your trust, through a number of unprecedented actions and with the extraordinary support of our carrier partners, suppliers, and the United States Consumer Productions Safety Commission. Here are the facts: the CPSC has worked closely with us to develop, expedite and execute a plan to protect American consumers. We notified them of a potential defect in the original Note 7 batteries and then issued a global directive to stop sales immediately. To date, we have already exchanged a 130,000 units - a fast and meaningful start. And with the CPSC's partnership, we will continue implementing corrective steps to exchange every single Note 7 on the market. To be clear, the Note 7 with the new battery is safe. The battery cell issue is resolved. And this finding has been affirmed by a recognized independent lithium-ion battery expert. To our Note 7 owners, if you have not yet replaced your original Note 7, please, please, power it down, and return it. The video was timed to coincide with an official CPSC announcement of the recall that came on Thursday, which prohibits by U.S. federal law the sale of Note 7 handsets. The directive comes 13 days after Samsung first acknowledged the magnitude of the problem and Consumer Reports urged the company to prevent all sales of the potentially dangerous phone, which has caused 55 recorded cases of property damage and 26 burn cases so far. According to the Wall Street Journal, U.S. officials say that the company has "exacerbated the situation in the way it has communicated with regulators and consumers" by offering initially "conflicting information". The video appears to be a response to that charge. Samsung promises that replacement phones will be ready for exchange no later than next Wednesday, September 21. Bending is not the same as a battery exploding. Are you for real? If I take a really long but thin phone and put it in my back pocket and then sit down, I expect it to bend. I don't expect it to explode and put my balls on fire. 1. The guy responsible for the antenna issue was fired. And that was at the exec level. 2. The bending thing was beyond overblown and exaggerated and no one was physically harmed or put in danger by it. Gotta laugh at those commending them for "taking responsibility ". They're just covering their own behinds to avoid lawsuits which would be more expensive than the recall. Ask anyone who's had issues with their defective products how often they "take responsibility". Failed capacitors due to cheap components in their HDTVs and they basically told customers (myself included) that it was past one year and not their problem. Until they got sued and were force to acknowledge it. Samsung cares about their money, not the customer. They did in the media. But when I contacted them Monday to request the recall replacement through the webform they set up (at least in Canada), they said they'd be in touch with me within 48 hours. I haven't heard a thing from them, so I have to call them today. I don't think they're handling it well at all. They're being very nice to the media, but as a customer, all i seem to be getting is a giant middle finger. I also preordered the phone and am supposed to get a free bluetooth speaker for that. I got the automated confirmation email from them that said they'd reply again when the speaker was ready to ship. 2 weeks later and not a peep from them. I'm very unimpressed by Samsung customer service. As unfortunate as it is for Samsung, they handled this appropriately. Not even close. As The Verge points out, they've "fumbled the recall". According to the Wall Street Journal ('http://www.wsj.com/articles/samsungs-management-of-recall-wounds-companys-image-1473928872'), U.S. officials say that the company has "exacerbated the situation in the way it has communicated with regulators and consumers" by offering initially "conflicting information"
Samsung has done a horrible job throughout this process and have been trying to downplay the seriousness of it (releasing a firmware update that only allows the battery to charge to 60% for example) in an effort to try to save themselves money and further embarrassment. Meanwhile, at least 26 people have already been injured in the United States alone due to their slow response. They will be lucky if the Note brand is not permanently damaged. The recall, fires, and news stories will stretch on through the end of the year if not longer. The Note 7 is "toast"
An apology? I was half expecting a witty commercial about headphone jacks.